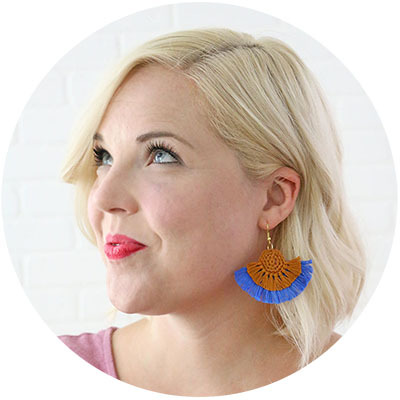 This DIY modern fall wreath is the perfect way to welcome cooler days! 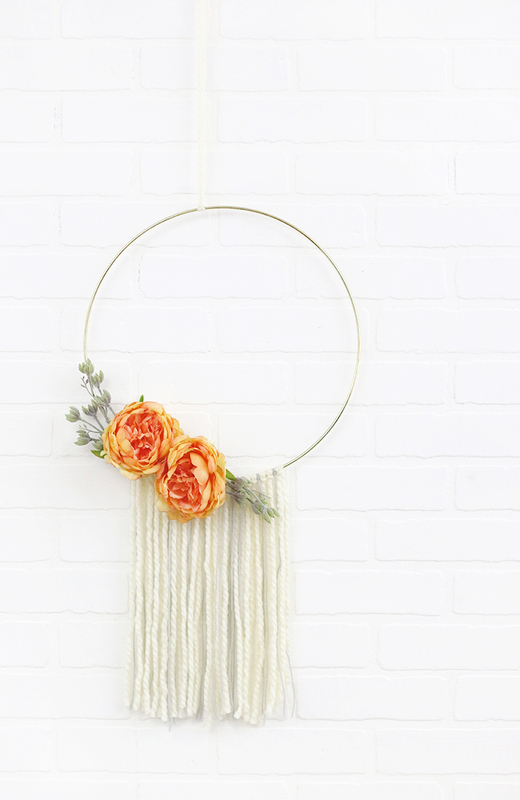 Learn how to make your own beautiful hoop wreath in just a few easy steps. 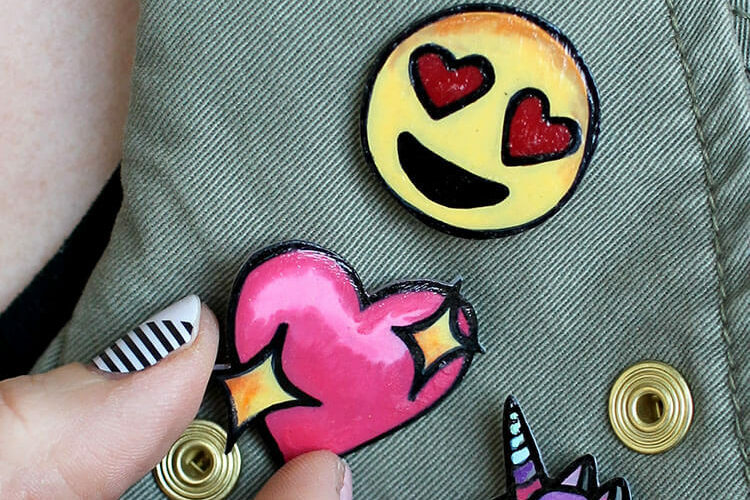 This post was originally shared at Crafts Unleashed, and may contain affiliate links, which allow me to earn a small commission at no additional cost to you. Thanks! It’s not quite officially fall yet, but we are almost there! September is usually the hardest month of the year for me here in Vegas because everyone else in the country is embracing fall and we are over here sweating in the 100s. Luckily, this year we’ve had some rain which has cooled things down a bit, and that has just made me even more excited for fall! I decided it was time to switch up the wreath on the front door, and this pretty little modern fall wreath is what I came up with. They are similar, but I think they do create a different feeling or mood. The spring wreath is a bit more vibrant while the fall version’s color palette is more muted. I also think the addition of the chunky, wooly yarn cozies things up for fall. What do you think? Looking at that side by side, I think I may need to add a leather strap to the fall version! 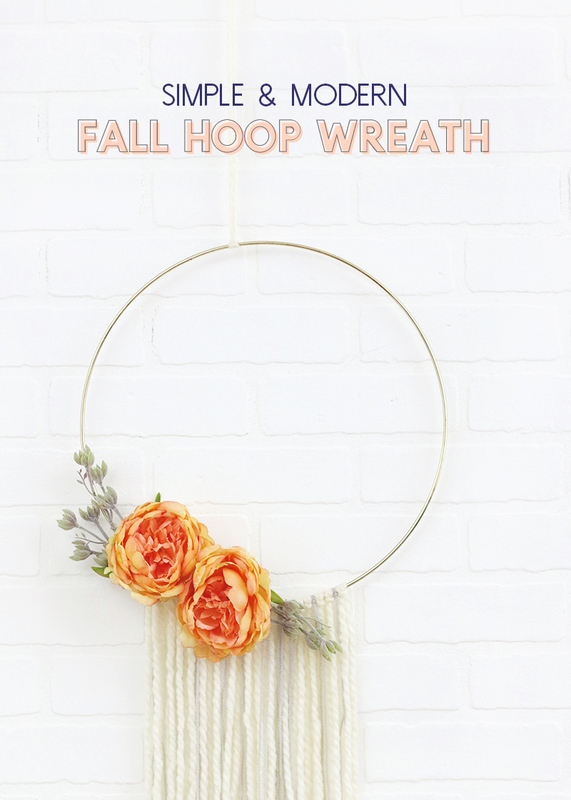 Ready to make your own modern fall wreath? 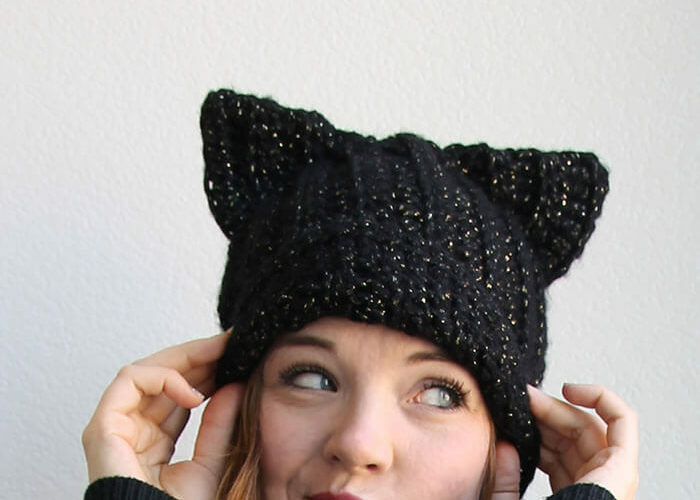 This baby is super easy and can be put together in less than an hour. Let’s do this! Start off by cutting your yarn into several long pieces. Your cuts need to be at least twice as long as the final fringe. I used both a chunky white yarn and a light gray baby weight yarn, and really like the look of the two together. 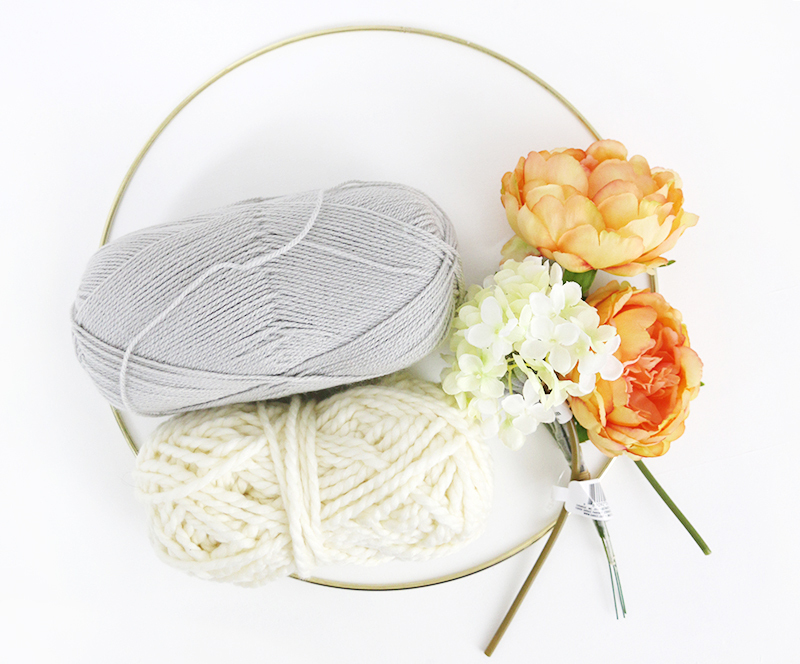 Feel free to use whatever colors and yarn weights you like – this is a great time to dig through your stash and experiment! 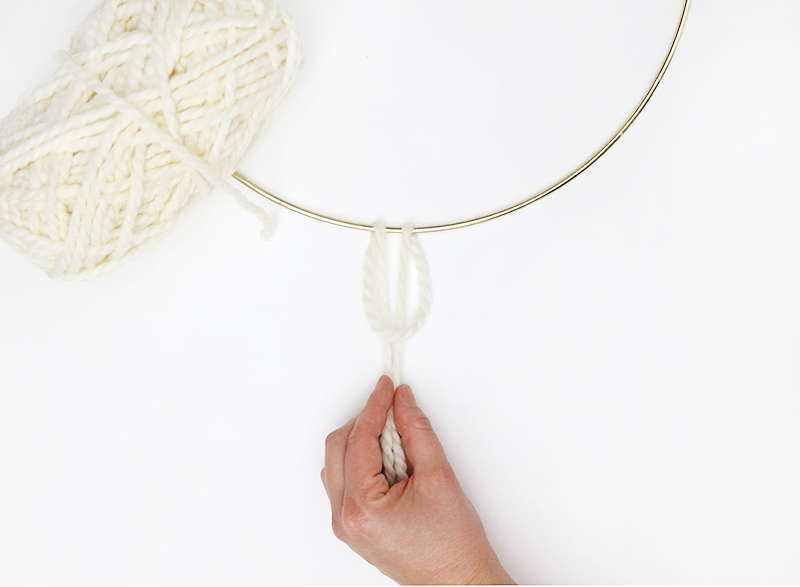 Once all your pieces are cut, it’s time to attach them to the hoop. Fold one length in half, wrap the folded end over the ring, pull the tails of the yarn through the loop (see the image below), and pull to tighten. I alternated the white and gray yarn somewhat randomly. If you like, use your scissors to trim up the yarn after you are done attaching it to the hoop. I trimmed mine up to all about the same length. I liked the look of a little variation in length, but that is definitely not the only way to do it! 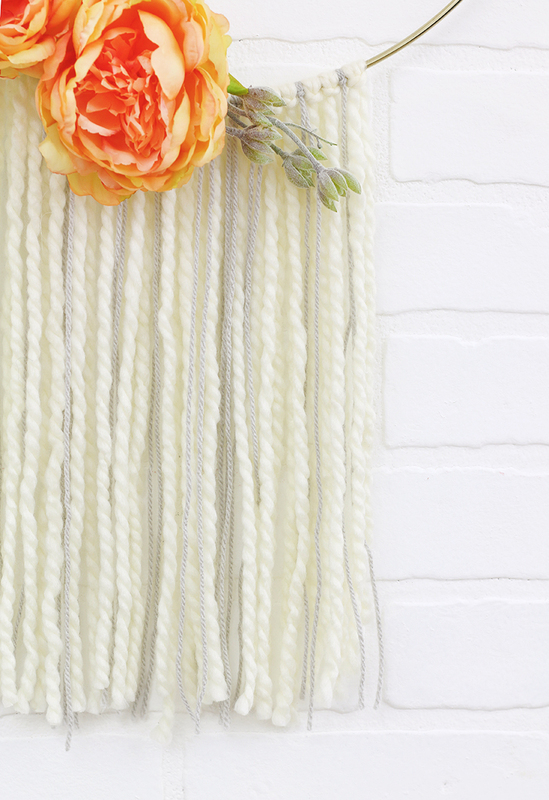 You could also try a super straight line or staggered lengths (similar to my crocheted wall hanging). 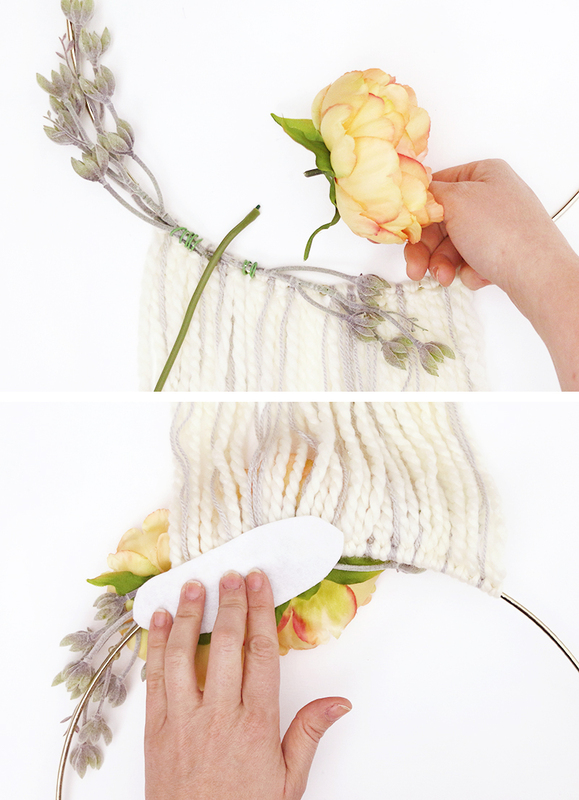 When you are happy with your yarn, it’s time to attach those florals! I like to always start with a little greenery for my base. For this wreath I chose these succulent branches because I thought their gray-green color was kind of perfect for fall. I started by attaching the branches to the hoop using some floral wire, which keeps them them securely attached. Next, I added a few drops of hot glue to keep them perfectly positioned. I made sure to keep the wire where it would be hidden behind the big peonies I had selected for the wreath. 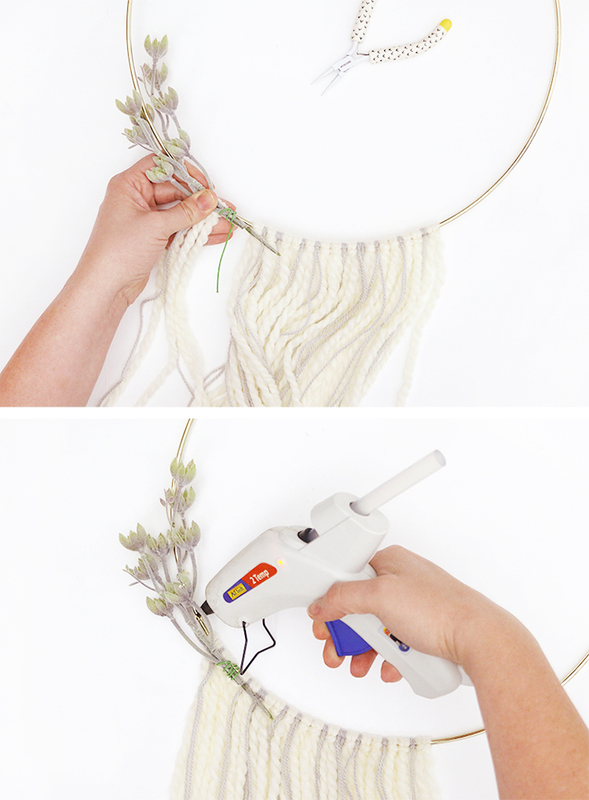 Next, pull your big flowers off of their stems and use hot glue to position them on the branches and hoop. Don’t forget to be careful not to burn your fingers! 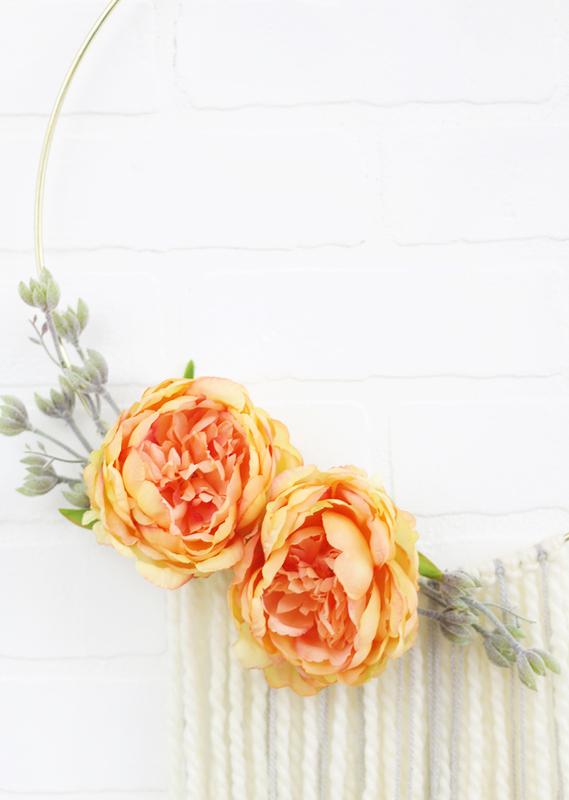 After your big blooms are in position, flip your entire wreath over. Cut a small piece of felt and glue it over the flower backs to keep everything secure and covered. And that’s pretty much all there is to this cute wreath. I just used a length of yarn to hang it here, but I’m seriously thinking I need to steal the leather strap from my spring wreath. 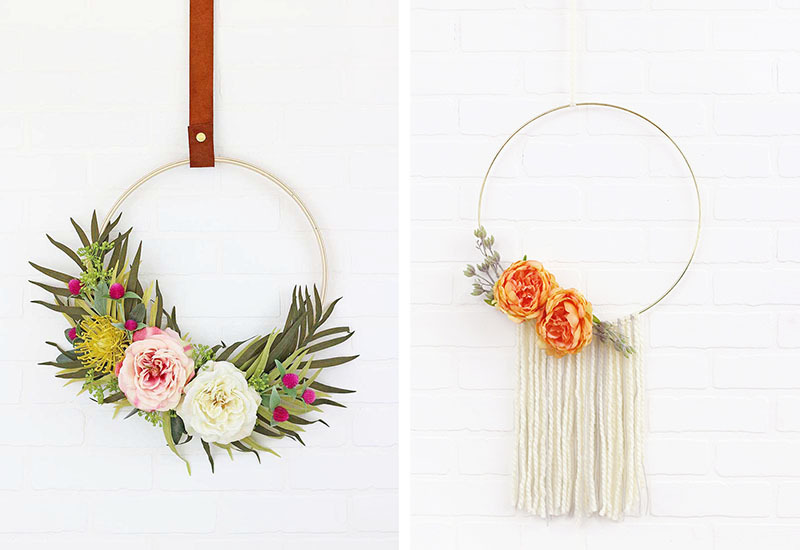 If you make your own wreath, I want to see it! You can post photos on my facebook page or tag me on instagram (@persialou) and just make my day. 🙂 For another simple yarn craft wall hanging, check out my god’s eye craft tutorial here.